We provide the knowledge and the resources people need to transform their lives and their communities. Throughout its 66-year history, CLOTH has been dedicated to finding solutions to the problems of poverty and disinvestment that confront the neighborhood. We work dynamically to address problems and needs as they arise, keeping pace with the chancing needs and demographics of our residents. In collaboration with several community partners, CLOTH runs programs aimed at bringing mental and physical health equity to our neighborhood. The Lucille Bulger Center for Community Life is a multifaceted institution housing a 6th-12th grade public community school, a health clinic, and CLOTH offices. Proud founder of the Community Health Academy of the Heights (CHAH) and 65 years of comprehensive after school and summer camp services. 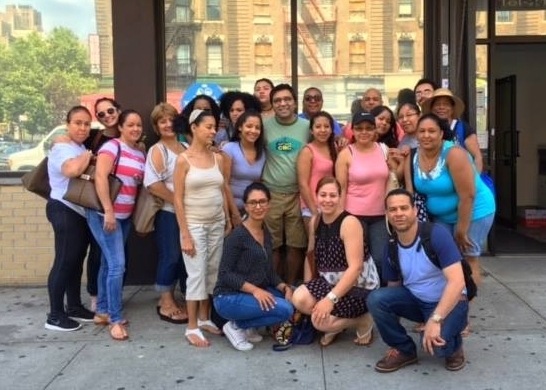 CLOTH's Housing development is dedicated to preserving and developing the housing stock of the Washington Heights neighborhood for low-income families. Are you looking to improve your English? Would you like to complete your High School Equivalency? Maybe you’d like to be able to better help your kids with their math homework! We would like to recognize FGPH for their unwavering support and commitment of the work of CLOTH.